I've been contemplating on all the special days I've spent with my friends, volunteers and co-workers in the Ukerewe Island, and thinking of the transformations that took place within me, on the Island and for the people with Albinism whom I had met in 2011. I was so grateful to have met these special people and particularly to have gained their trust and an insight into their inner world and the challenges they had gone through during their entire lives. Back then I had never seen anyone with Albinism before; I simply knew the word Albino which is “Zal” in Persian. 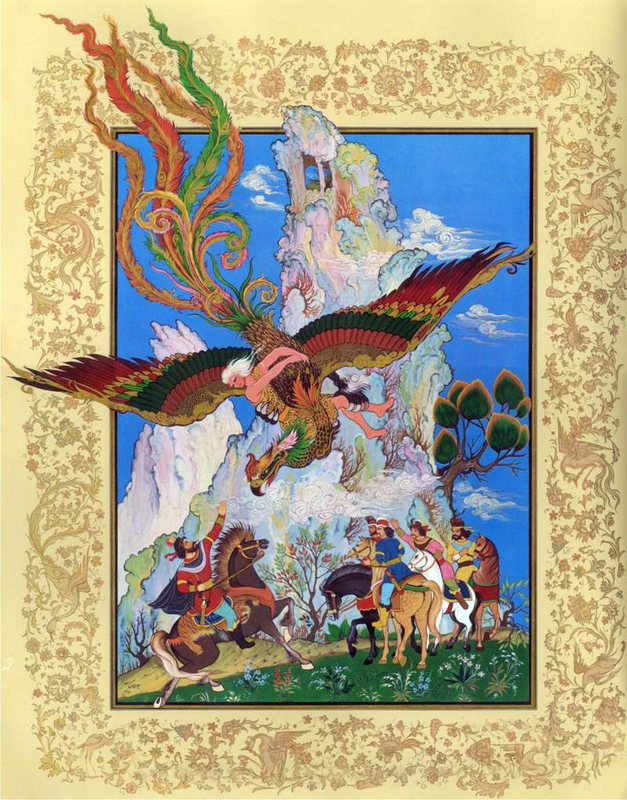 “Zal” in Iranian literature is the name of one of the most important legendary characters in the Book of Kings “Shahnameh”. He is the father of Rostam, the legendary hero of this book. Sadly, the tragic story of some of the children being left and abandoned on the Island is similar to the Zal’s fate: he too was abandoned in the Alborz Mountains in the story. 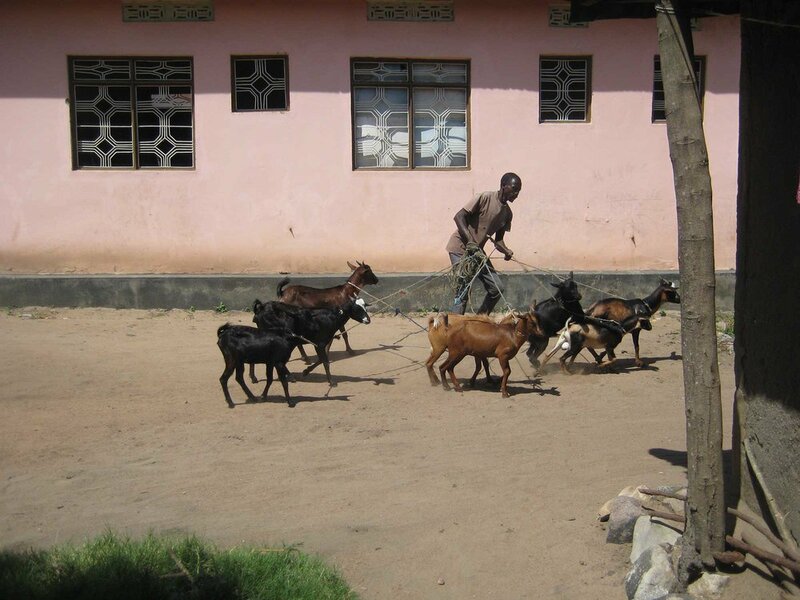 Back in the day, in 2011, when I was solo traveling in Tanzania, I would come across them, but it was a rare occurrence. But even during those brief and rare encounters, something was stirred with my thoughts and imagination. 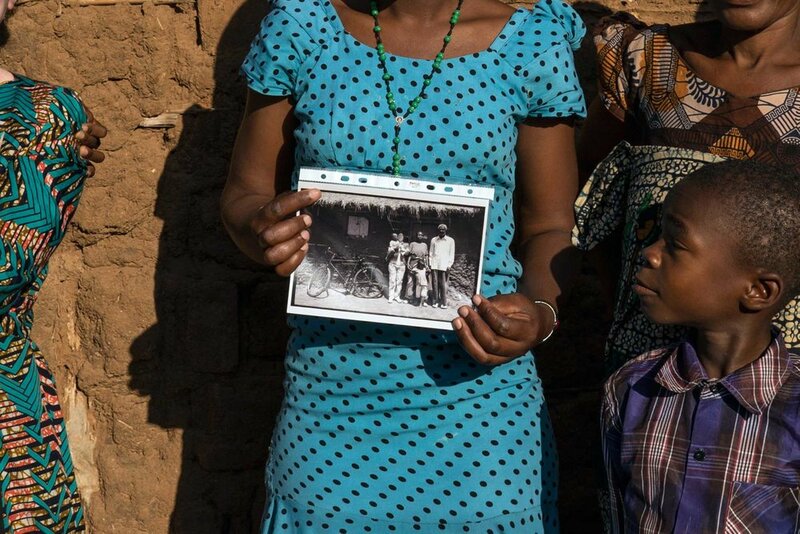 It was in Mwanza that I first heard about their horrifying and tragic story: children and adults being kidnapped and mutilated due to superstitions, witch doctors believed that making potions from their body parts would bring their clients fortune and prosperity. 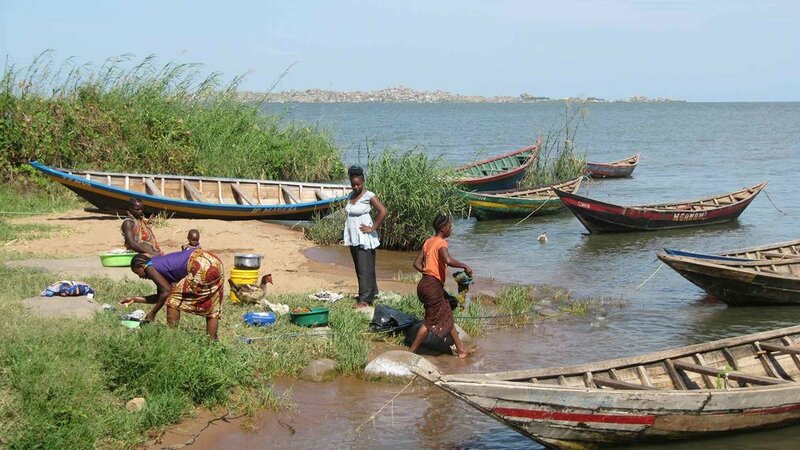 While doing some research, I came across the biggest inland island of Africa called “Ukerewe” which is located in Lake Victoria, just 3 hours away from the mainland Mwanza. At the time, I had no links or contacts, yet I set out, determined to make a visit and to get a better understanding of these people sadly forgotten and ignored by most. On the boat ride, I was probably the only white man and was constantly stared at. I was luckily approached by the chief officer of the island who asked me about the reason of my visit. After a brief talk, he thankfully introduced me to a young local called Yohanna, who at the time, was struggling to bring tourists to the Island. He was a quirky, cheerful and caring chap who became my translator there and is still a dear friend of mine. 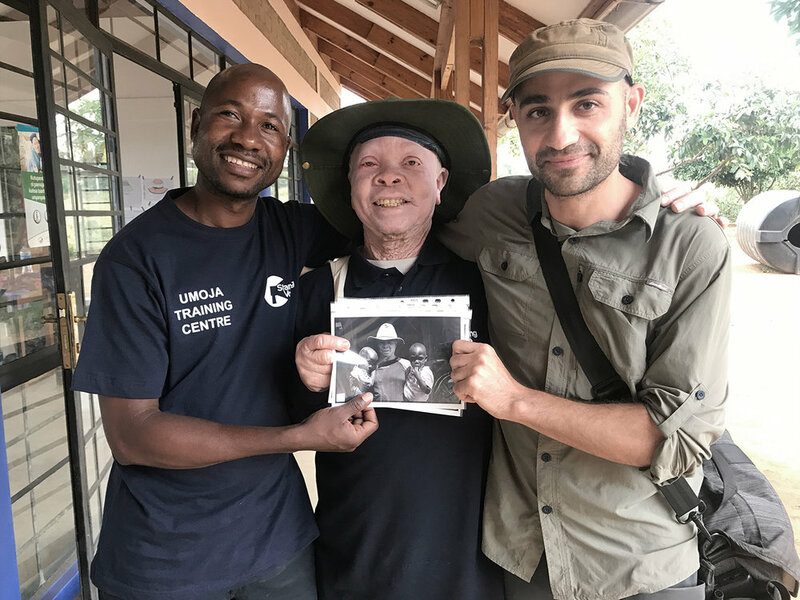 After a brief meeting with the Chairman of the Albino Society, Ramadan, I explained about my idea and he agreed for us to start a photo-project together, to visit as many families and to document and write about their stories and lives. Suspita and Ramadan accompanying me to visit families in 2011. Sabine with her two year old son. 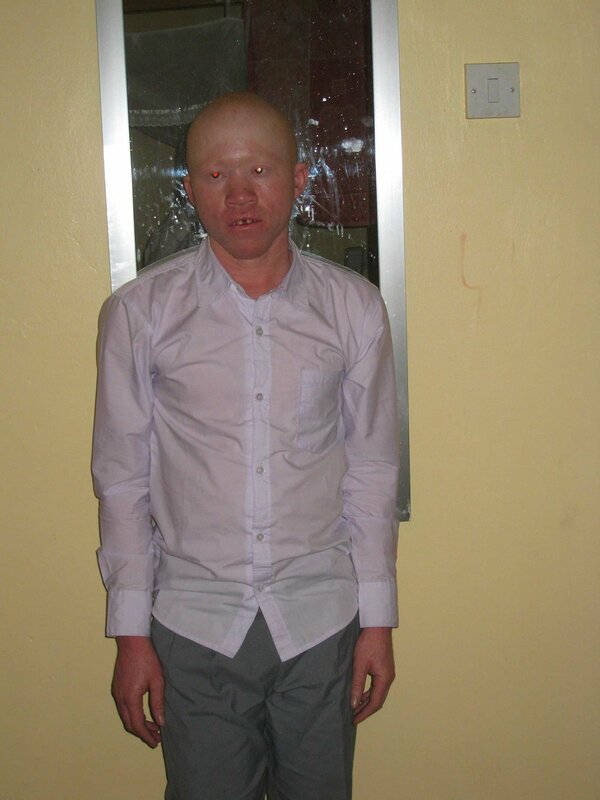 The father of the child abandoned them, after he realized the child was born with Albinism. 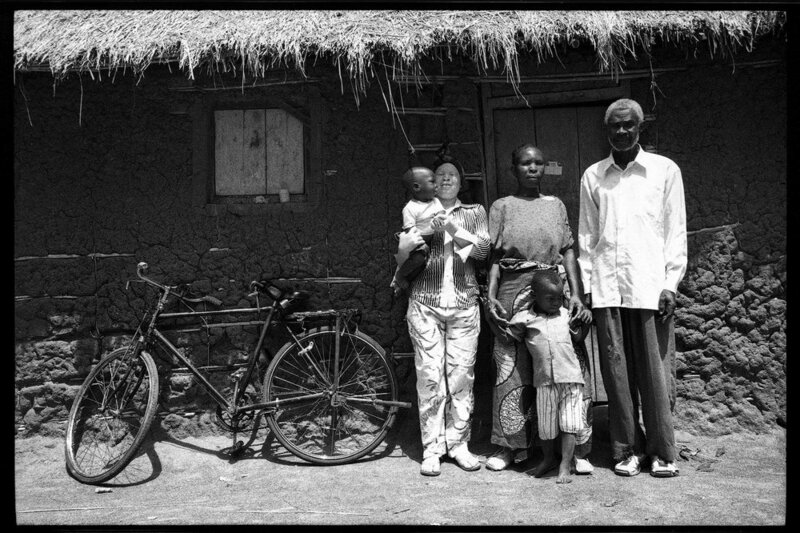 Charles and his two children living a normal life with his wife. I was fairly aware of the state of the Albino community especially since the killings that had started a few years earlier, but every new encounter on the island was eye-opening and further enlightened me. Like all humans, each one of them was very special in their own way, not because of their color but because of their personality and character. Living under the Shade wasn't their limitation, but rather their main ground to think for an alternative way to survive from the sun. For instance, some had managed to set-up a small store and get into trading so as to avoid working under the sun. 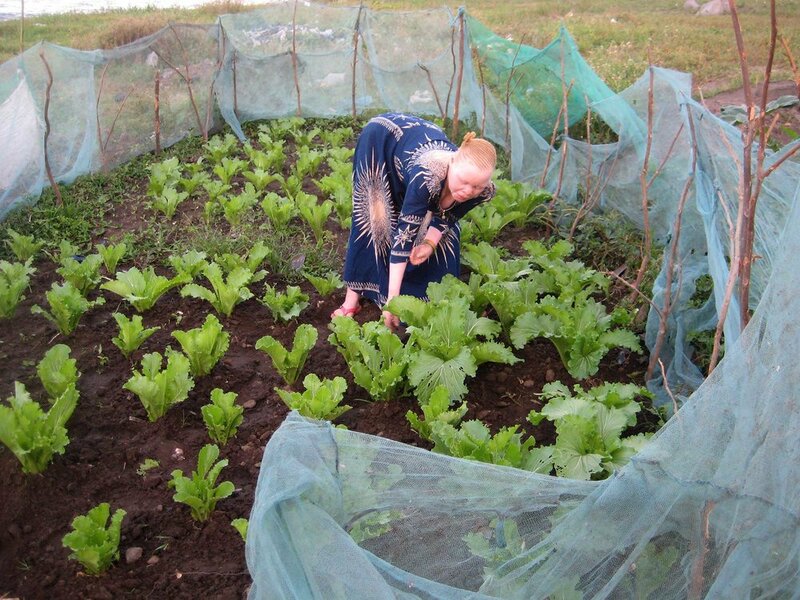 However, agriculture still remains the main income source for most of the families; and working under the sun is of course a challenge for them. Most families couldn’t afford to buy sunscreen, and being exposed under the sun puts them at risk of getting skin cancer. I felt I needed to learn more about them, their fears and hopes and even just about their daily routines. 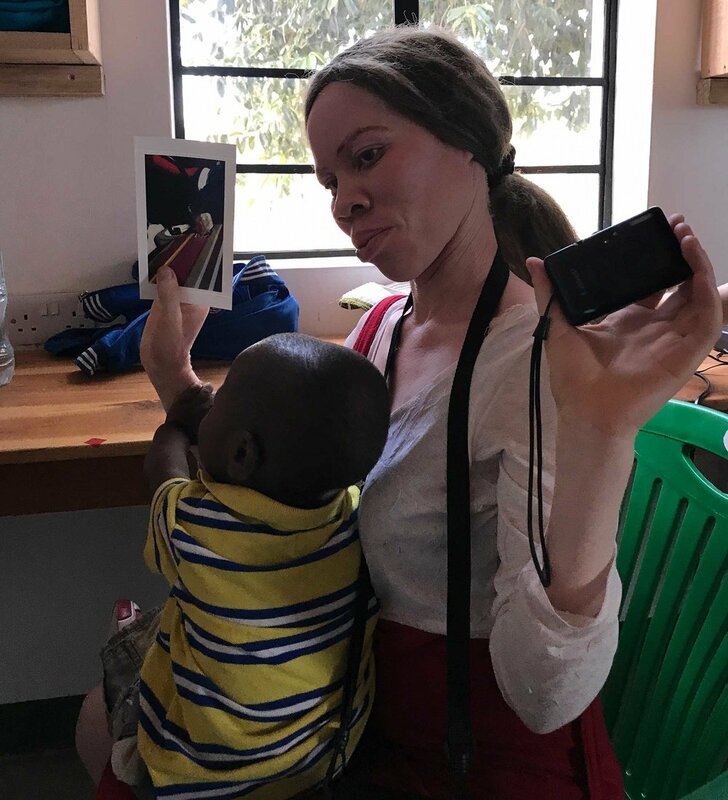 I thought the best way would be to visit different families that are related to or in contact with someone with Albinism. After two weeks of photographing with my film camera, I was in shortage of film rolls; therefore I needed to travel back and bring my digital camera with me. On my way back to Tanzania, I had to make a short stop in Cairo, Egypt (which at the time was in its post-revolution) so as to make the return flight more affordable. I stayed with a friend and one day I left all my equipment at his house and left his place. Upon my return, I found out that a group of thugs had broken into his house and stolen everything including my equipment. It was such a big blow for me, and the whole project unfortunately came to a halt. I never felt comfortable to show a series that wasn't complete and that was not in the context I wanted it to be. 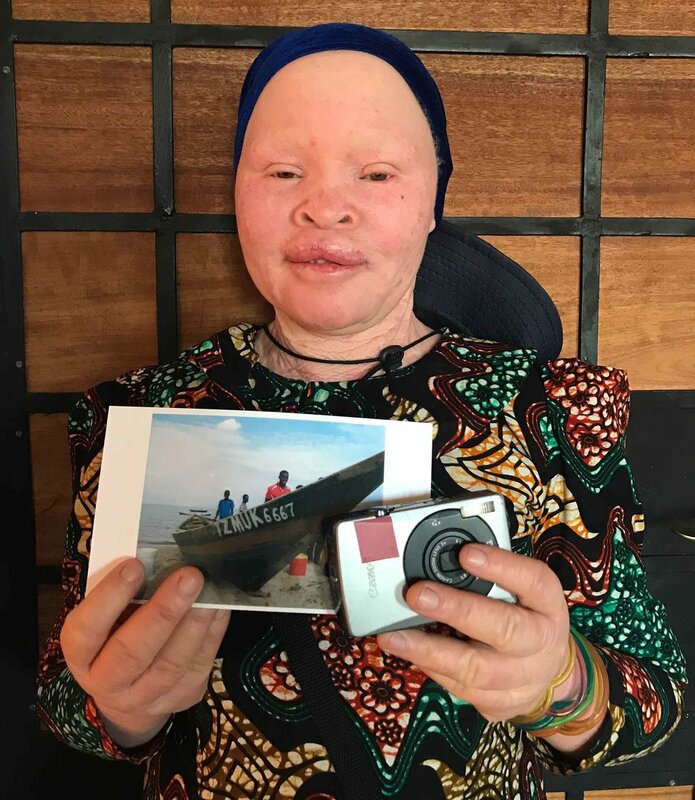 But with the hopes of being of any assistance possible, I self-published a Photobook the following year and asked friends and family to purchase it on the day of my birthday as a gift so I can donate the money to the UTSS (the only NGO I knew at the time that would help and sponsor the education of albinos) HERE. In 2013, I was fortunate enough to be the selected Photographer by Gulf Photo Plus, to feature the series in a slideshow format, where it was showcased in the Knowledge Village cinema in front of more than 200 people from all around the world. During that event, I was able to talk about and explain the story behind the faces in these images and to raise awareness about their situation. And yet I did not feel satisfied with my endeavors and had a strong urge to continue this project. Some of their words would still reverberate in my head…like how they can't even afford to buy sunscreen and many other personal issues that were rarely addressed anywhere. This feeling stayed with me throughout the years until I heard certain news from Yohana, the translator and friend I mentioned earlier and whom I had stayed in touch with. He informed me about Standing Voice, a charity organization from the UK that helps and supports people with Albinism. I was so thrilled to learn about this organization, and I deeply felt that I needed to somehow get in touch and show my support for them. It was amazing to know the organization was built and funded after being inspired by an amazing film by Harry Freeland called ‘In the Shadow of the Sun’ that had taken several years to complete. I was then approached by the Standing Voice team who gave me this special opportunity to not only volunteer but also to teach Photography to them. I had had a brief teaching experience back in 2014 when I volunteered for the Yangon Photo Festival, while I was traveling in Burma. 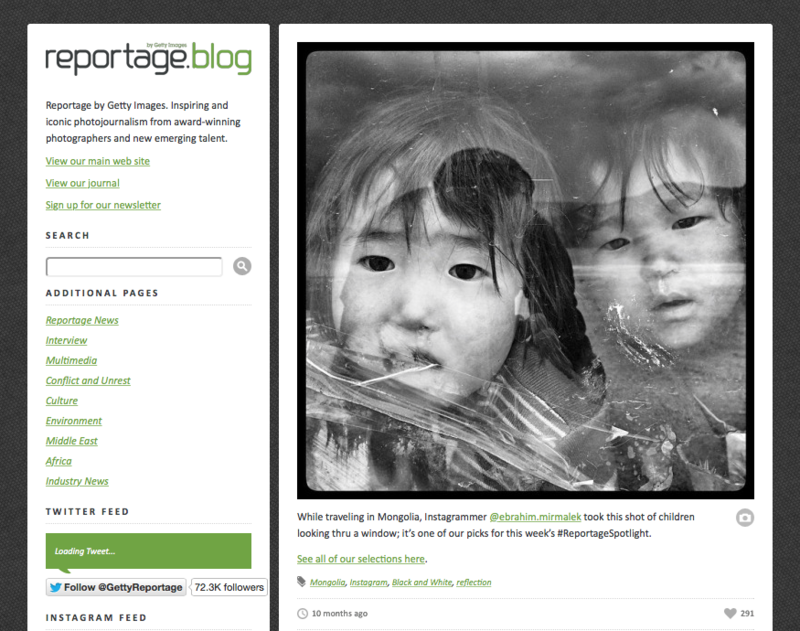 I helped and mentored young selected amateur photojournalists to pursue and execute their ideas. Even though it was very brief, it was a wonderful and successful experience, especially since one of my students whom I helped choose and develop his idea won the first prize. This time around, I knew I wouldn’t face the same challenges since these students did not know the basics of operating a camera and had no photography background. Teaching about light to people for whom light is a threat would be quite challenging. I was also a bit concerned about their vision; I knew some individuals might have trouble with their eye-sight, since lack of pigmentation is not just in their skin or hair but also in their eyes, creating vision defects like photophobia, nystagmus, and amblyopia. I remember reading the book ‘Seeing Beyond Sight’ by Tony Deifell who taught blind students to photograph. This book had really inspired me and made me understand that photography is not just about seeing and capturing with your eyes but also about understanding the world through your other senses… There was no way to tailor a plan in advance without knowing the participants, their level of understanding of photography, their interests and how they would like to use the art of photography in their lives; I had to be spontaneous and open to any change of plan. I was very grateful to be introduced to Brian, a fellow photographer who would be teaching along with me during the workshop. I learned that the students would only be given the cameras for the duration of the workshop. 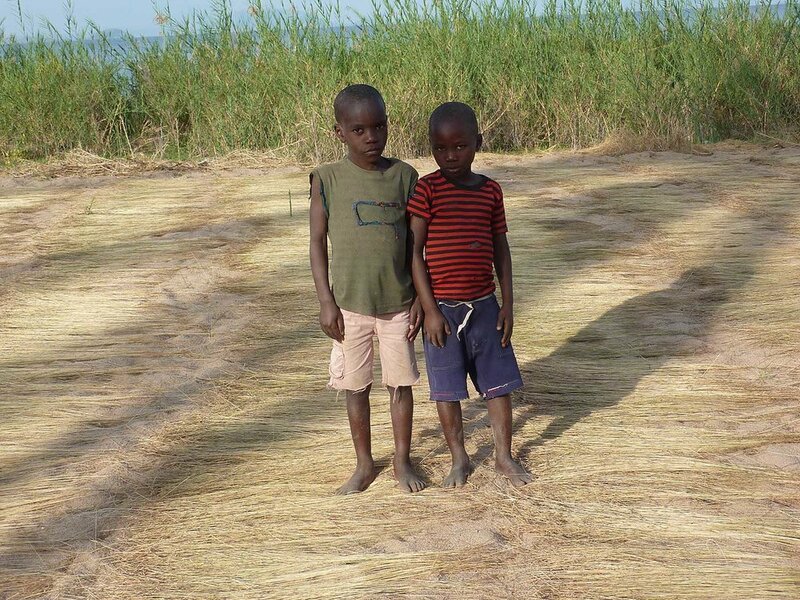 So I felt my very first step would have to be to help them own their first cameras. In this way, they would be able to continue using their cameras and start developing their skills on their own. That’s how I had learned photography myself: by trial and error, by making mistakes and learning from them. I was never taught by a teacher; I was self-taught, and I wanted to teach them how to teach themselves, so I needed to get cameras for them. I knew most of us had a camera that remained unused in some drawer thanks to such rapid technological advancement and improved quality, so I invited people in my social media circle to donate cameras. And in exchange, I promised to send them back a print of a picture taken with their cameras. In this way, I too would be more compelled to help the students make the most out their cameras. Thankfully it was very well-received and surprisingly, I received eleven cameras from all across Iran, within just three days of my flight. A big thanks to all the donors for trusting me and believing in the cause! Before the beginning of our workshop, it was great to meet and get to know the volunteers and also my fellow photographer Brian to whom I spoke and discussed ideas with. I was very delighted to be working with someone with a diverse background and a very different approach to photography. We both had a different history and path of becoming a photographer. It was nice for our students to also understand later that there is no one way to achieve a level of professionalism in the vast world of Photography. On the first day of our lesson, I focused on getting to know my students well. I was very surprised to see three of the individuals with Albinism I had photographed 7 years ago were present in my class: Jeremiah, Elizabeth and Musa. I was so happy to see them again after all these years, and that I could teach them something. I was also very happy to return some of the pictures I had taken 7 years ago to to their true owners. It was just amazing that they now had a captured moment with their family and of their life from almost a decade ago. Unfortunately, I couldn’t find them all; my notebook with all their names was stolen along with my camera. Some were present in the workshop like Musa and Elizabeth and Charles and Sabine, but others I had to ask Ramadan, who was the one who had introduced me to these families at that time. But he too couldn’t remember. So I left the Album in the center with the hope that they would be found by them someday. Charles and the photo I took from him and his two sons seven years ago. Elizabeth and her Family holding a picture I took seven years ago, we decided to recreate the image, with their old house, and grown-up family. Our class was fairly mixed. We had eleven people in total: our students were with and without Albinism, which was great. And so I prepared some key questions about who they are, what their aspirations are, where they want to go with their photography, etc. 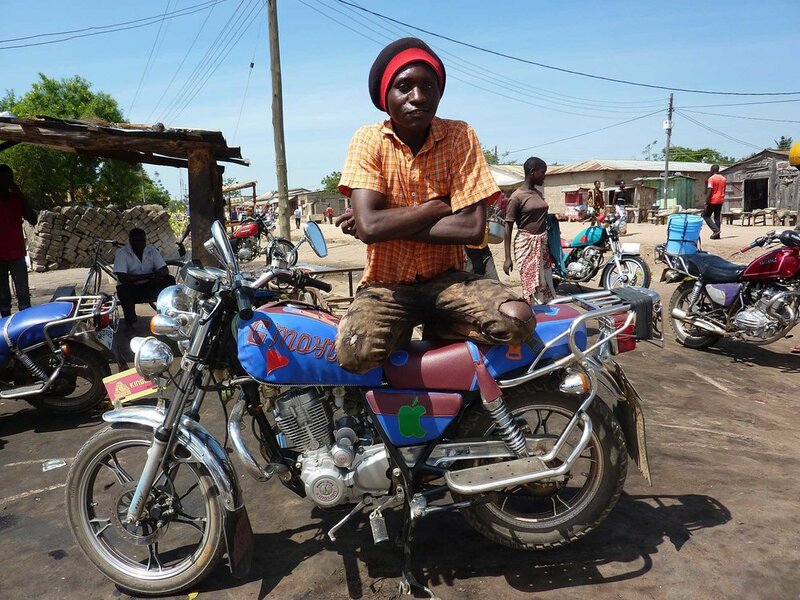 Some were seeking employment; others wanted to learn for their lessons at school. I realized most were looking to be famous and wanted their work to be seen. I decided not to tell them that they will own these cameras after the workshop…They would have an assignment every day but also one main assignment to complete during the whole days of our workshop, and that was to photograph their personal life and living space. I wanted them to start observing and seeing their life through their cameras, to capture special moments, not from the unusual but rather the most usual. The hardest and most challenging thing for any observer is to see something special in their daily life or routine. It would also allow us as teachers to learn and understand how and where our students are living; it would make us all closer and more intimate with their personal space and worlds. Gladly SV allowed us to take day tour excursions to different areas of the island, a special opportunity that not many of our students could take by themselves due to the cost and their lifestyle. They got to know and appreciate the wonders and beauty of their Island and country. It was also really fascinating to see them singing aloud altogether during our rough drives due to really bad road conditions. It unveiled the real meaning of the word “Umoja" which means Unity in Swahili for me... and I appreciated their title as "Umoja Photographers" even more. For each trip, I would ask them to shoot the event as if SV has given them the assignment, that if they take a good shot, SV will publish it in their blogs, and credit them for it and in that way they will have their name out, and most probably if they are good enough to be potentially selected as their photographer in the future. I wanted them to take my role so they could better challenge themselves as an event photographer: it did really inspire them a lot I think. In one of our sessions, I would ask them all to photograph one of the workshops in the center and I would also personally photograph with them and try to challenge them to see differently, to use their bodies and see from a more diverse angle, to create more engaging photographs. Thanks to SV for allowing us to use their video-projector, something I had been insisting on all along during our workshop, so they could experience the significance of an image and better see how powerful an Image could become if captured well, it would allow them to see details in their image and help them compose well. 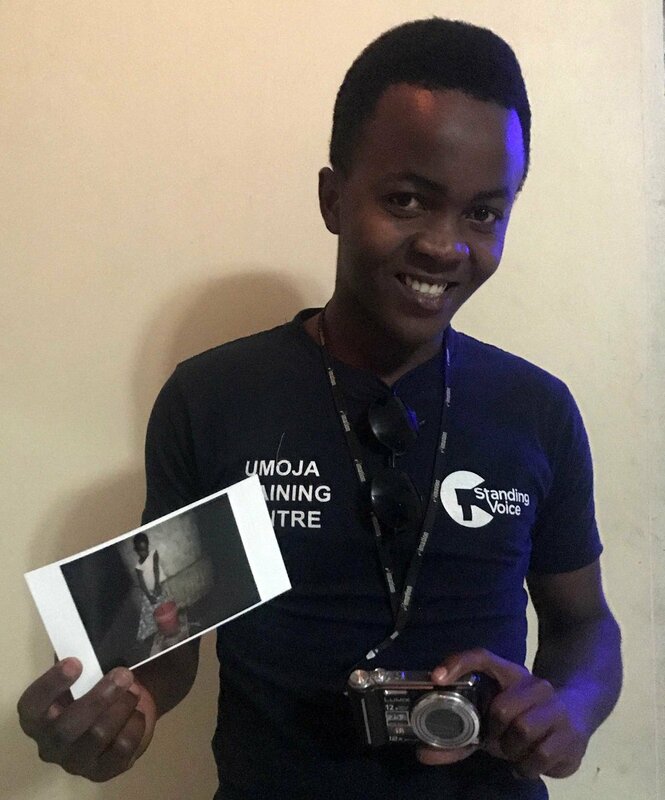 I insisted we not start by teaching them the technical side of photography, but rather how to see and communicate through images. 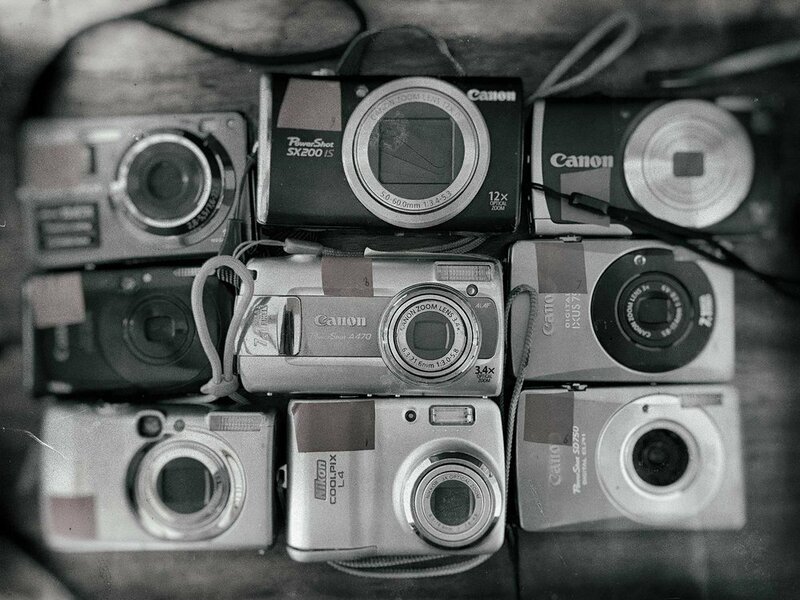 Our cameras, even though they were old, were all advanced enough to shoot in Auto mode. I also come from the school of Lomography, where you learn to shoot film with a plastic toy camera, equipped with only two shutters/Exposure, and a fixed plastic lens. It pushes you to see without being too indulged in the technical aspects, but furthermore to also push you to make mistakes, where these mistakes would often even aesthetically add to your image. I wanted them to learn the other way around, to make them ask questions about their mistakes, that if it’s blurry or too washed out and over-exposed, etc. why is it so? And make them feel the necessity to learn about it…they could then come to the next level of using their cameras manually….we realized they were too focused in finding their moments and trying to capture the right time. 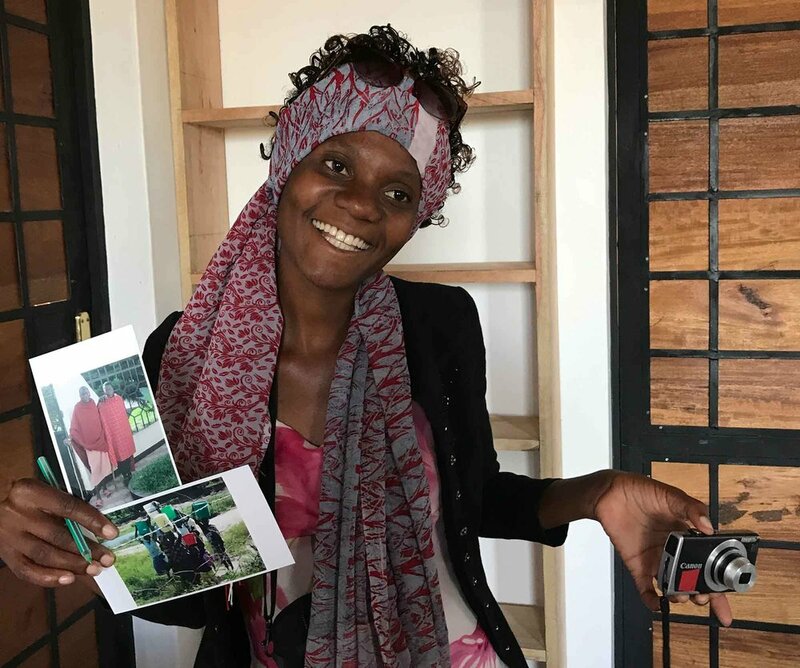 We also wanted to see how and what our students tended to capture most, and realized they take photos of people a lot, and so in our next round of lessons, we briefly focused on how to effectively use their cameras to photograph portraits. We asked them to take a photograph of each other, and so they would shoot all on default with their wide angle and then we would ask to use their optical zooms and re-photograph the same person, we would then screen the difference and so they would understand the angle of view. During our lessons I thought how it would be great to integrate some of the workshops together: I thought the painting workshop could use our students’ photos. It would be great to print the photos and provide the best shots of our students for them to paint….Thanks to Annie, our great drawing/painting instructor, who agreed to this, the outcome was really great. Some of the painters would even re-compose and correct and improve our students’ photos, they would change the composition and even add their own color and textures, which allowed our students to dig deeper and try to see their images beyond just a photograph, and break it into shapes and lines and to also make them understand the artistic aspect of photography. It was great to also have Yohana as our translator, he was very articulate and enthusiastic in assisting us to teach and get our word to cross the language barrier. He was very caring and passionate about our lessons; it was really great to have him on board. We had one student complaining about how her camera was less advanced than the others, some of our donated cameras were older models than the rest and we didn't want the students to feel discriminated, so I explained that all these different cameras were once the best and latest cameras manufactured at its own time and the camera doesn't determine nor help one to see any better. We had students with these older cameras taking better images than those who held newer models. That is why I wasn’t too concerned with their weak batteries or limited memory storage…It was to me in some way a mimic of old film cameras, how you are limited to 36 images for each roll. They made you rather more sensitive in photography than just having the leisure to shoot as much as you want… I wanted to teach them that limitation always unleashes one’s creativity. My hope is that this platform could also potentially help update SV with the daily lives of the people with Albinism. I always thought how great it would be for them to start exposing and reporting about themselves, to show that they are no different from others, that they live and do things just like the rest. In our last two sessions, we had to organize our students photos and pick some of their best shots to project them on the screen and we then would ask our students and also personally themselves to choose their best and favorite image to print as a gift for our sponsors with a personal written statement behind it. They also explained to us why they would think this image is good; through this process, we also learned many things about our students way of thinking and their judgment on the subjectivity of what a good photograph is… It also allowed other students to see and understand the "Point of View" of how differently one could see and value the same moment, most would have the same image taken from a different time and angle of view and would help them understand how one moment can be seen in endless ways, and that would unlock their creativity in seeing. In our final session, our students were very happy to know that they will be keeping the cameras. 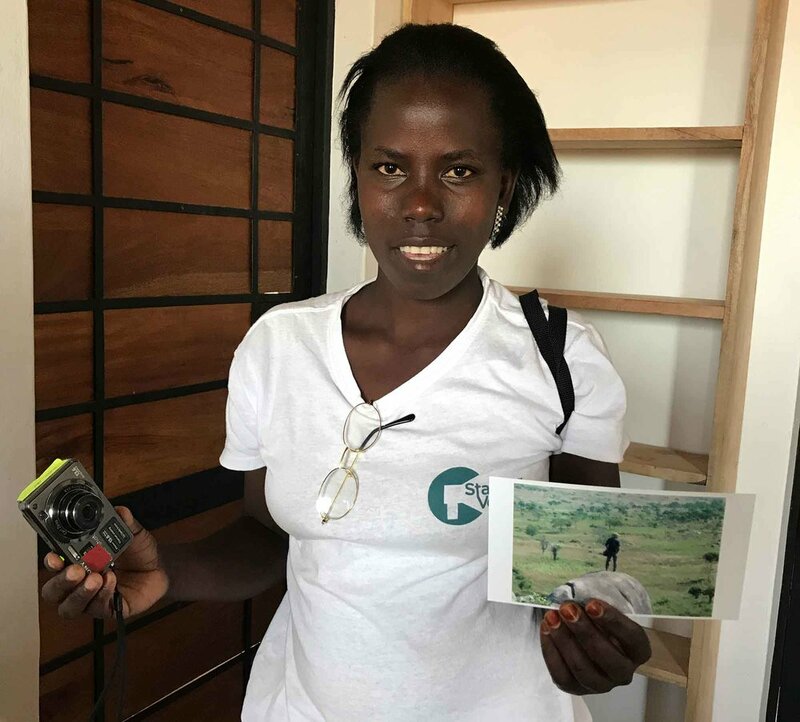 We also exchanged some of their cameras with better models (thanks to Brian’s generosity), so they could feel more content and more committed to photography. We promised to set-up a page on social media to share their work, and in turn they all promised to keep shooting and that whenever the computers arrive at the center, they would every once or twice a month meet together and bring their selected images and send them all to me via email so I can start selecting their images for their social page. 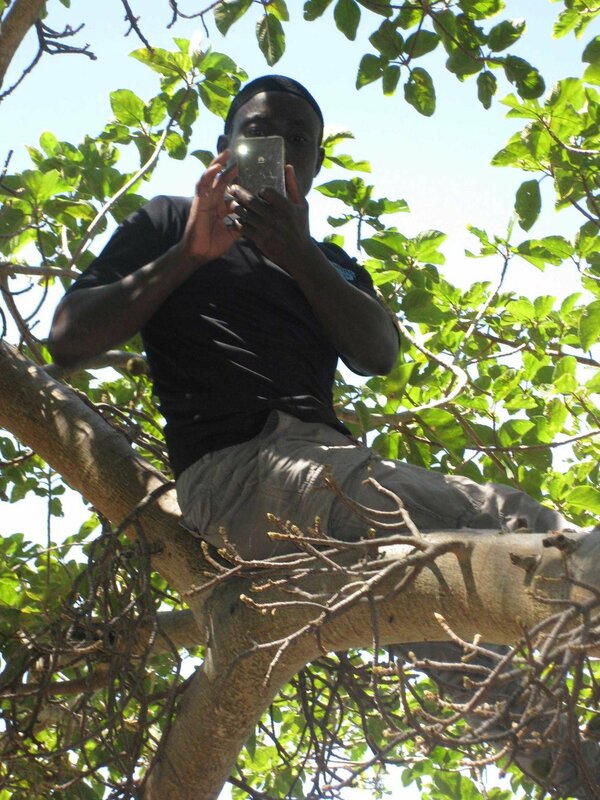 Unfortunately, many of our students don't have access to computers to copy their images, and it is difficult to keep in touch with all of them as many don't have smartphones or internet connection. So I selected Ayub and also Yohana to be in charge to help others in case they need to send images to us through the Internet cafe. I also left my card reader in the center, so they could come and borrow it whenever they need it. Here are the selected photos of my students. It's wonderful to see their world through their own eyes! A self-portrait of Ben, one of our students...The photo was taken by one of his family members with the cameras auto-flash. The white glow on his left-eye unveils his misaligned or what they call Strabismus. It could have also been a warning sign of a rare but serious cancer called retinoblastoma, which we found it was not the case about him. The days have passed so quickly, I felt we needed more time to work with our students, even though six days felt sufficient in the beginning. We lacked a final exhibition unfortunately; it would’ve been nice to have their selected photos exhibited along with the paintings of these photos. Since I got to know more about our friends with Albinism, the whole concept of disability has immensely changed for me. It is not about what they can’t do but rather what they can do! If they could see that they are rather, unique, special and not disabled, then they could unleash numerous possibilities of the things they can do. They don’t have Dis-ability but rather a Different-ability. A very well-informed piece on the chemical victims. Very glad to have been part of this important and forgotten issue about Iran's chemical war veterans, Photographing the victims and hearing about their riveting stories. My One Minute Film has been selected to be screened at "One Shot" 2017, Short Film festival at the Armenian Center for Contemporary Experimental Art in Yerevan, Armenia. My Video will be showcased In the Craft & Folk Art Museum in LA and also in Irvine Viewpoint Gallery in Orange County. Published and Interviewed in the Viewfind website about my on-ongoing photo project of the gas-smugglers in Baluchistan. I'm very glad to have won the special prize, Many Thanks for your hospitality, was great to meet such hardworking and inspiring filmmakers there. an Afghan Refugee who has lived all her life in Iran, had never thought of Afghanistan as a country until she went to school "I always thought we were from a terrible place, and that always made me hide my identity, it was the most challenging part of my life...I was in a constant battle with myself about my Identity and origin and whether I should continue hiding it or not?" I was assigned to shoot/Interview an Afghan refugee who is repatriating back to Afghanistan, it was part of a short segment which would be combined with two other refugees living in Pakistan and Afghanistan, and would be edited in Geneva and shown to the High commissioner for the high-level meeting in Geneva. GRRYO is an international collective of photography creatives who have dedicated themselves to being a resource for the social photography and arts community. I was Assigned to shoot for Financial Times in Daryush Shayegan's house. he is a renown writer/Philosopher/intellectual in Iran. Shayegan is well-known in France for his books in the field of philosophy and mysticism. Taken in a small lonely island, on the drylands of Urumia Lake, printed on the front cover of Science Magazine...how will science in Iran develop after its long isolation? It was an honor to work for the Science magazine, photographing key scientists working hard to bring their long projects into development. Swarthy is seemingly, this old and everlasting land; yet how it bristles with spirit. 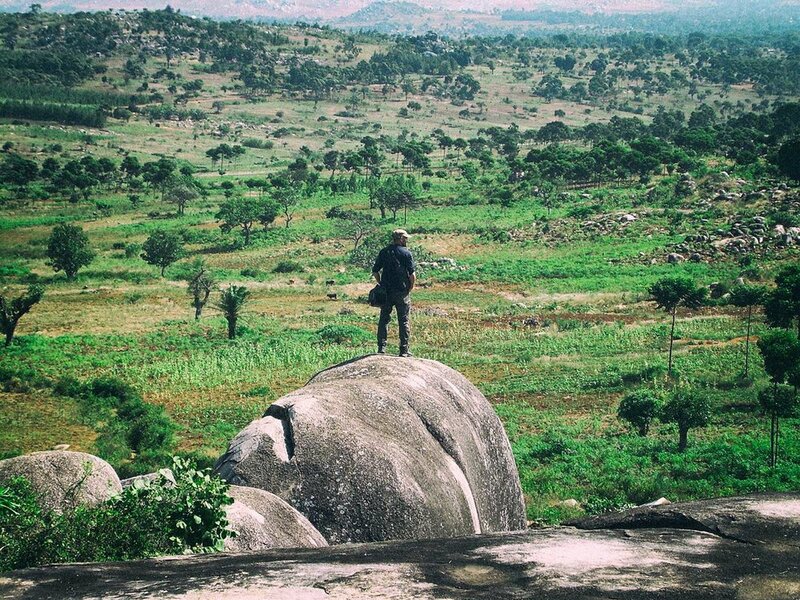 Jaggedly meets your eyes, yet how harmonious this terrain, torn apart and tolled by sectarian tilt, sustain its people. Having cultivated a thousand year history - that compelled Ferdowsi to borrow its hero for his Shahname (The Book of Kings) . What turn has it taken now that it is relegated to the back of beyond? The land where the first rise of the morning sun is promised to its people is at the dusk of this nation. 'Sistan and Baluchistan' a south eastern underdeveloped region with vast lands of rugged, mountainous terrain, bordering the neighboring Pakistan and Afghanistan, where smugglers illicitly enter in and out of the lawless borders through risky routes, surviving from the poverty inflicted by the high rising unemployment. A long-forgotten province, isolated due to its relentless droughts and desolated lands with people repleted with pride and poetry, bonded to their ancestral soil where they endure the harsh climates throughout the dry seasons. This is a brief visual-journey of my overland trip to this long-forgotten land, blotted in the minds of most people with fear and misery. Having travelled for nearly 2 months from Sistan all the way down to Baluchistan, and being enraptured by the majestic and hypnotic landscapes and welcomed by people still fueled with life and honor, I deeply feel these visceral impressions throughout my journey will stay with me forever. I will be showing and speaking about my photo-project in Dubai Knowledge Village Auditorium along with seven other great photographers, very happy to be part of this. It's done at last it took me a while to finish this from scanning all the film images to editing and making a cohesive Book from this portraiture series of the wonderful African Albinos I made 2 years ago. it was very short around 2 weeks I couldn't stay any longer since I was low in budget, I thought I would come back again but some unfortunate incidents like my camera equipment worth thousands of dollars getting stolen in Egypt, ruined all my plans...but overall I'm happy with the outcome. This book is in the nonprofits&fundraising section of the Blurb bookstore and 100% of the mark-up will be donated to UTSS's Education scholarship fund (ESF) which offers education grants to keen and dedicated students with albinism. The Printed book came out a bit pricey but I am hoping those who can't afford it can buy an ebook which only costs 13$, would still be much of a help.